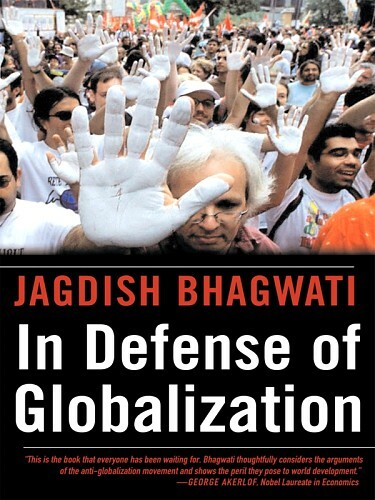 Bio: Professor Jagdish Bhagwati, University Professor at Columbia University and Senior Fellow in International Economics at the Council on Foreign Relations, is a prominent economist. He has made pioneering contributions to the study of development, globalization, international trade, foreign aid and immigration. He also writes frequently for leading media worldwide. He has served in many advisory roles, including at the GATT as Economic Policy Adviser to Director General Arthur Dunkel and at the UN to Secretary General Kofi Annan on Globalization and on NEPAD Process in Africa. He works with many NGOs, including Human Rights Watch. 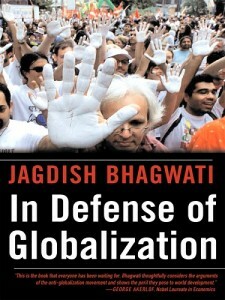 Among his many successful books is In Defense of Globalization. Professor Bhagwati talks about cultivating a more nuanced framework for thinking about Globalization and its pros and cons, in addition to issues of overlap between the economics of climate change and international trade. Professor Bhagwati and Jisung also talk about some implications for international climate mitigation frameworks, as well as issues surrounding intellectual property rights of low-carbon technologies developed using public funding. 1. Maria Rosa Menocal, The Ornament of the World, Back Bay Books, Little Brown & Co., New York, 2002. The book describes how Muslims, Jews and Christians Created a Culture of Tolerance in Medieval Spain: very relevant to our current situation of apparent “clash of civilisations” under growing globalization. 3. Padma Desai, From Financial Crisis to Global Recovery, Columbia University Press: New York, 2011.